"Walking in the Air" is a song written by Howard Blake for the 1982 animated film of Raymond Briggs' 1978 children's book The Snowman. The song forms the centrepiece of The Snowman, which has become a seasonal perennial on British television. 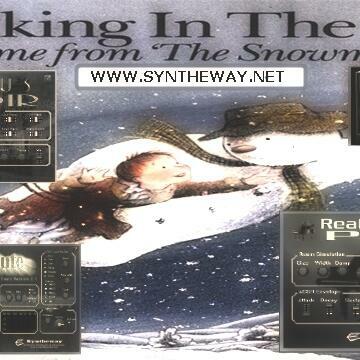 This demo is covered from Oceanborn album by Finnish symphonic metal band Nightwish. 1.- Magnus Choir VSTi: is a virtual instrument plug-in which can be used to create natural and synthetic choirs, using a combination of synthesis and sampling. The male and female mixed choirs features the classic SATB (Soprano, Alto, Tenor, Bass) structure: women sing Soprano and Alto, while men sing Tenor and Bass. 3.- DAL Flute VSTi is a virtual woodwind instrument combining multi-samples of real flutes with a Digital Signal Processing (DSP) engine. Offers control over several parameters allowing you to sculpt new and interesting sounds. - Flute Selector: Normal, Bright, Pan Flute (Panpipe) and Shakuhachi modes. 4.- Realistic Virtual Piano is an acoustic grand piano emulation with a breathtakingly rich and realistic sound. Particular care has been taken in the reproduction of the original realism and touch response of a Kawai and Yamaha Grand Pianos. Place the dll file / files into VST Plugins Folder. 500 MHz Processor (Pentium, Celeron AMD or equivalent) minimum. RAM: 128 MB or higher recommended. Windows Operating System : Windows XP, Windows Vista, Windows 7, Windows 8, Windows 8.1, Windows 10 / x86 (32 bit). For Windows x64 (64 bit) test it first with VST Bridge, jBridge or BitBridge.